Germany is a Central European nation extending from the Baltic and North seas in the north to the Alps in the south with borders to nine other countries. Its democratic principles and advocacy for human rights as well as its strong economy and well-developed infrastructure have made Germany an open, modern and tolerant country with an important political and economic role to play, not only in the European Union, but also in the international community. English is the first foreign language learnt and is spoken well, particularly by the young adult generation. 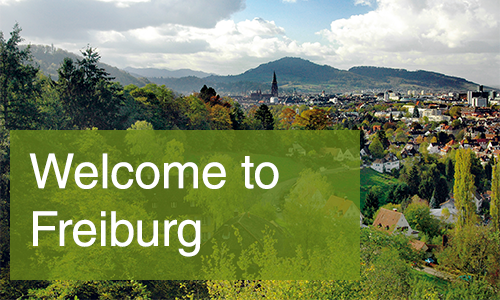 Freiburg is a growing city with a resident population of about 230 000. It owes its popularity as a place to live to its Mediterranean climate, high level of employment, its clean environment and multicultural flair, brought about not least by its proximity to France and Switzerland. 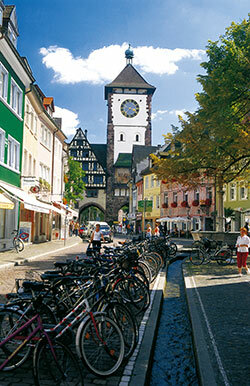 Freiburg is the gateway to the Black Forest. With an elevation varying from 200 m asl. 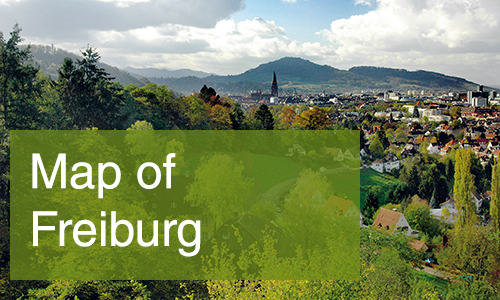 on the Rhine Plain to almost 1300 m at the tip of the Schauinsland Mountain, Freiburg offers its residents and tourists, young and old, a vast array of recreational pursuits, completing the picture of Freiburg as a city with a diverse, active and open-minded community. 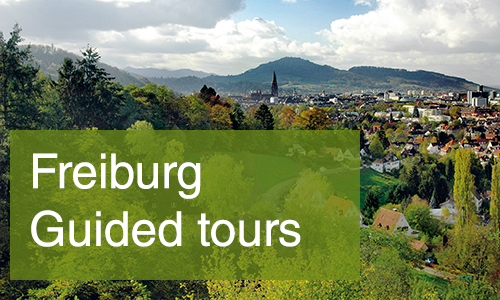 In the following documents you can find information on guided tours, accommodation, sights and a map of Freiburg. Black Forest Tours caters to English-speaking visitors to Freiburg, the Black Forest and nearby Alsace region in France. Each tour is customized to your needs. When: On Friday, 17.6., 15.7., 12.8., 9.9., 7.10., 28.10.2016 at 8 p.m. When: On Friday, 3.6., 1.7., 29.7., 26.8., 23.9., 21.10.2016 at 8 p.m.
Tours in English for groups are available by prearrangement for groups of 13 or more participants. You can take the longest gondola lift in Germany and already in about 20 minutes you will reach Freiburg’s local mountain at a height of 1220 meters. The Mundenhof is with 38 hectares the biggest animal enclosure in Baden-Wuerttemberg. A variety of animals from all over the world are living there in nobler paddocks. Moreover the agriculture with 180 hectares ensures the ecological recycling economy. The largest seasonal theme park in the world is set in a delightful and culturally diverse region near the borders of Germany, France and Switzerland. The 360 degree – cosmos cinema provides a varied choice of programs and kidnaps young and old visitors with Full dome- Technic into the boundless vastness of the universe. This French city breaks its own records with respect to the number of visits. In Strasbourg you can easily visit the middle Ages and Modernism. In order to see the charming little lanes and taste the tarte flambée visit www.tourismecolmar.com for more information. Basel is also called the artists’ city since it is considered a pocket size metropolis with nearly 40 museums and a maximum of international culture within a minimum of space. In order to travel in and around Freiburg, please select the right ticket for your stay and visit welcome.vag-freiburg.de/tickets-prices.